Apple has just started rolling out Apple Pay Cash for testers running iOS 11.2 beta and watch OS 4.2 beta available now. Apple introduced Apple Pay Cash, back in June 2107, which is a peer-to-peer payment system for the user to let them make payments through there iOS devices to their friends and family members. The best thing about With iOS 11.2 update is that it integrates Apple Pay Cash right into the iMessage so, you don’t a separate app to use the service. I think this is something users will definitely like. With Apple Pay Cash integration into the iMessage, users can transfer or send money to any of their friends and family members while chatting with them very easily. If you haven’t used Apple Pay Cash before then worry not it’s quite simple to use inside your iMessage. To pay someone while chatting on the iMessage Just tap on the iMessage’s App Store icon and then tap on Apple Pay Cash icon. Now, just enter the amount you want to send and the system will authenticate using your Touch ID, Face ID, or your passcode. To make payments you can either use the money stored inside your Apple Pay Cash account or you can use any debit or credit cards linked to your account. 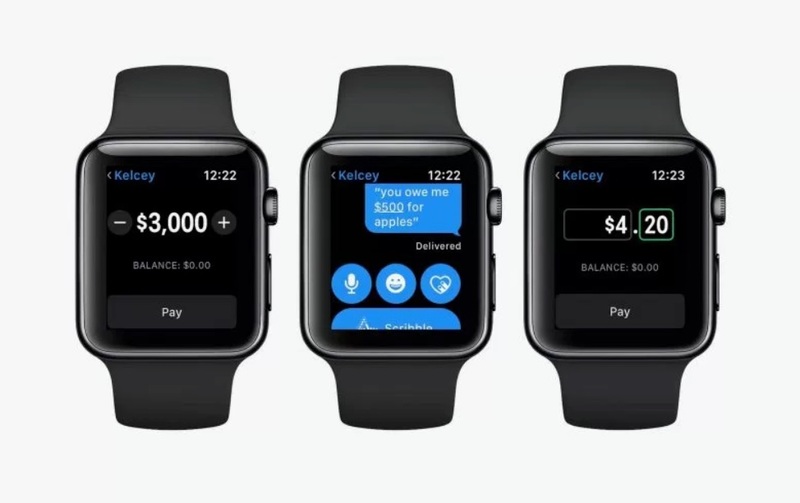 Allowing you to make payments on your iPhone as well as your Apple Watch there are some limitations in Apple Pay Cash too. Using or linking your Debit card to Apple Pay Cash is free but if you want to use your credit card then will incur a charge of 3%. Also, the minimum amount of money you can add into your Apple Pay Cas account is limited to $10 and $1 is the minimum transfer amount. The Maximum limit for sending money at a time is $3,000. Moreover, you cannot add more than $10,000 into your Apple Pay Cash account within a 7-day period. The maximum limit for holding money is $20,000. Have tried Apple Pay Cash to make payments while chatting on the iMessage? Let me know in the comments below.